Temecula /təˈmɛkjʊlə/ is a city in southwestern Riverside County, California, United States. The city is a tourist destination, with the Temecula Valley Wine Country, Old Town Temecula, the Temecula Valley Polo Club, the Temecula Valley Balloon & Wine Festival, the Temecula Valley International Film Festival, championship golf courses, and resort accommodations for tourists which contribute to the city's economic profile. 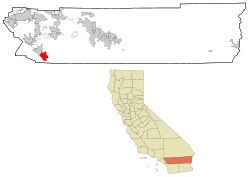 The City of Temecula, forming the southwestern anchor of the Inland Empire region, is approximately 58 miles (93 km) north of downtown San Diego and 85 miles (137 km) southeast of downtown Los Angeles. Temecula is bordered by the city of Murrieta to the north and the Pechanga Indian Reservation and San Diego County to the south. The population was 100,097 during the 2010 census and an estimated 2018 population of 113,181. It was incorporated on December 1, 1989. The area was inhabited by the Temecula Native Americans for hundreds of years before their contact with the Spanish missionaries (the people are now generally known as the Luiseños, after the nearby Mission San Luis Rey de Francia). The Pechanga Band of Luiseño believe their ancestors have lived in the Temecula area for more than 10,000 years. In Pechanga history, life on earth began in the Temecula Valley. They call it, "Exva Temeeku", the place of the union of Sky-father, and Earth-mother ("Tuukumit'pi Tamaayowit"). The Temecula Indians ("Temeekuyam") lived at "Temeekunga" – "the place of the sun". The first recorded Spanish visit occurred in October 1797, with a Franciscan padre, Father Juan Norberto de Santiago, and Captain Pedro Lisalde. Father Santiago kept a journal in which he noted seeing "Temecula ...an Indian village". The trip included Lake Elsinore area and the Temecula Valley. The Luiseño and Cahuilla were involved in local battles not part of the Mexican–American War. In the Pauma Massacre in January 1847, Luiseños captured 11 Mexican soldiers, who had stolen some of the tribe's horses. The Californios in Los Angeles mounted a military retaliation directed by General Pio Pico. In the Temecula Massacre, a combined force of Mexican soldiers and Cahuilla Indians killed 33 to 100 Luiseños (most estimates are 33–40 dead). A stagecoach line started a local route from Warner Ranch to Colton in 1857 that passed through Temecula Valley. Within a year, the Butterfield Overland Mail stagecoach line, with a route between St. Louis, Missouri and San Francisco, stopped at Temecula's Magee Store. On April 22, 1859, the first inland Southern California post office was established in Temecula in the Magee Store and the city was incorporated. This was the second post office in the state, the first being located in San Francisco. The Temecula post office was moved in the ensuing years. Its present locations are the seventh and eighth sites occupied. The American Civil War put an end to the Butterfield Overland Stage Service, but stage service continued on the route under other stage companies until the railroad reached Fort Yuma in 1877. In 1882, the United States government established the Pechanga Indian Reservation of approximately 4,000 acres (16 km2) some 8 miles (13 km) from downtown Temecula. Also in 1882, the California Southern Railroad, a subsidiary of the Santa Fe Railroad completed construction of the section from National City to Temecula. In 1883, the line was extended to San Bernardino. In the late 1880s, a series of floods washed out the tracks and the section of the railroad through the canyon was finally abandoned. The old Temecula station was used as a barn and later demolished. In the 1890s, with the operation of granite stone quarries, Temecula granite was shaped into fence and hitching posts, curb stones, courthouse steps, and building blocks. 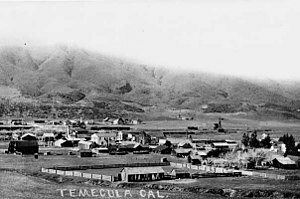 At the turn of the 20th century, Temecula gained a place of importance as a shipping point for grain and cattle. In 1904 Walter L. Vail, who had come to the United States with his parents from Nova Scotia, migrated to California. Along with various partners, he began buying land in Southern California. Vail bought ranchland in the Temecula Valley, buying 38,000 acres (154 km2) of Rancho Temecula and Rancho Pauba, along with the northern half of Rancho Little Temecula. Vail was killed by a street car in Los Angeles in 1906; his son, Mahlon Vail, took over the family ranch. In 1914, financed by Mahlon Vail and local ranchers, the First National Bank of Temecula opened on Front Street. In 1915, the first paved, two-lane county road was built through Temecula. By 1947, the Vail Ranch contained over 87,500 acres (354 km2). In 1948, the Vail family built a dam to catch the Temecula Creek water and created Vail Lake. Through the mid-1960s the economy of the Temecula Valley centered around the Vail Ranch; the cattle business and agriculture were the stimuli for most business ventures. In 1964, the Vail Ranch was sold to the Kaiser Aetna partnership. A later purchase by the group brought the total area to 97,500 acres (395 km2), and the area became known as Rancho California. The I-15 corridor between the Greater Los Angeles area and San Diego was completed in the early 1980s, and the subdivision land boom began. The 1990s brought rapid growth to the Temecula Valley. Many families began to move to the area from San Diego, Los Angeles, and Orange County, drawn by the affordable housing prices and the popular wine country. On October 27, 1999, the Promenade Mall opened in Temecula. In 2005, Temecula expanded by annexing the neighboring master-planned community of Redhawk, bringing the population to 90,000. After a period of rapid population growth and home construction, the 2007 subprime mortgage financial crisis and the resultant United States housing market correction caused a sharp rise in home foreclosures in the Temecula-Murrieta region. According to the United States Census Bureau, the city has a total area of 37.28 square miles (96.6 km2), of which 37.27 square miles (96.5 km2) of it is land and 0.012 square miles (0.031 km2) of it (0.03%) is water. South of the city, Murrieta Creek and Temecula Creek join to form the Santa Margarita River. Temecula has a warm semi-arid climate (Köppen:BSk). August is typically the hottest month of the year with December being the coldest month. Most precipitation occurs from November to March with February being the wettest month. Winter storms generally bring moderate precipitation, but strong winter storms are not uncommon especially during "El Niño" years. The driest month is June. Annual precipitation is 14.14 inches. Morning marine layer is common during May and June. From July to September, Temecula experiences hot, dry weather with the occasional North American monsoonal flow that increases the humidity and brings isolated thunderstorms. Most of the storms tend to be short lived with little, if any rainfall. During late fall into winter, Temecula experiences dry, windy north-eastern Santa Ana winds. Snowfall is rare, but Temecula has experienced traces of snowfall on occasion, some as recently as December 2014. A rare F1 tornado touched down in a Temecula neighborhood on February 19, 2005. The 2010 United States Census reported that Temecula had a population of 100,097. The population density was 3,318.0 people per square mile (1,281.1/km²). The racial makeup of Temecula was 70,880 (70.8%) White (57.2% Non-Hispanic White), 4,132 (4.1%) African American, 1,079 (1.1%) Native American, 9,765 (9.8%) Asian, 368 (0.4%) Pacific Islander, 7,928 (7.9%) from other races, and 5,945 (5.9%) from two or more races. There were 24,727 people of Hispanic or Latino origin, of any race (24.7%). The Census reported that 99,968 people (99.9% of the population) lived in households, 121 (0.1%) lived in non-institutionalized group quarters, and eight (0%) were institutionalized. The population was spread out with 30,690 people (30.7%) under the age of 18, 9,317 people (9.3%) aged 18 to 24, 27,869 people (27.8%) aged 25 to 44, 24,416 people (24.4%) aged 45 to 64, and 7,805 people (7.8%) who were 65 years of age or older. The median age was 33.4 years. For every 100 females, there were 95.9 males. For every 100 females age 18 and over, there were 93.9 males. In the city, the population was spread out with 34.7% under the age of 18, 7.8% from 18 to 24, 33.3% from 25 to 44, 17.2% from 45 to 64, and 7.1% who were 65 years of age or older. The median age was 31 years. The above average number of young people in Temecula was attributed to an influx of middle-class families came to buy homes in the 1990s real estate boom. For every 100 females, there were 97.6 males. For every 100 females age 18 and over, there were 94.2 males. Temecula is an affluent community. Supported by high median and mean income levels as well as the city's favorable tourism and resort industries, the city is a prominent tourist destination, with the Temecula Valley Wine Country, Old Town Temecula, the Temecula Valley Polo Club, the Temecula Valley Balloon & Wine Festival, the Temecula Valley International Film Festival, championship golf courses, and resort accommodations attracting a significant number of tourists which appreciably contributes to the city's economic profile. In addition to the tourism sector, the educational, leisure, professional, finance, and retail sectors contribute to the city's economy. Additionally, the Outdoor Channel was based in Temecula until relocating to Denver, Colorado in 2014. Pechanga Resort & Casino, though a major part of Temecula’s economy, is not officially within the city limits. More than 40 years after Richard Break and Leon Borel first planted 56 varieties of wine-making grapes in five different locations for the newly formed Rancho California Development Corporation, the Temecula Valley has become recognized as a full-fledged appellation. In 1967, John Moramarco planted the first 1,000 acres of commercial winegrapes for Brookside Vineyards and Winery. Today, there are approximately 40 wineries and more than 3,500 acres (14 km2) of producing vineyards. The wine country is a few miles east of Old Town Temecula, with a variety of tasting rooms. The annual Temecula Valley Balloon & Wine Festival is held at nearby Lake Skinner. The festival offers live entertainment, hot air balloon rides, and wine tasting, with many of the area's local wineries represented. 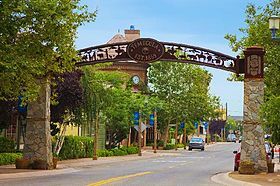 Old Town Temecula, the city's downtown district, is a collection of historic 1890s buildings, antique stores, hotels, museums, event centers, specialty food stores, restaurants, boutiques, gift and collectible stores, and antique dealers. On Saturdays, Old Town has an outdoor farmers' market where approximately 70 to 80 vendors sell local foods, artwork, household items, and more. Old Town is also home to special events like the Rod Run car show, Art and Street Painting Festival, Santa's Electric Parade Show, western days, and summer entertainment. On weekends, Old Town also hosts a growing nightlife. Old Town is also home to the Temecula Valley Museum, which features exhibits about the local band of Native Americans and the local natural history and city development. The City Hall, which relocated from a smaller location on Business Park Drive in late 2010, is located in the center of Old Town. Old Town has the Old Town Temecula Community Theater, a 354-seat proscenium theater as well as The Merc, a 48-seat blackbox performance venue adjacent to the main theater. In 2001, the Pechanga Band of Luiseño Indians built the $262 million Pechanga Resort & Casino complex. It is the Temecula Valley's largest employer, with nearly 5,000 people employed. Temecula was a proposed city for a charter membership in the California Inline Hockey League based in San Diego then to Los Angeles. The California Inline Hockey league was a grassroots minor league professional Inline hockey league with clubs based in the state of California but later added two teams in Nevada. The CIHL awarded the city of Temecula a club which was to be a part of the CIHL's first season in 1995. The club was named the Temecula Desert Rats and they were going to be members of the CIHL along with the San Francisco Seals, Santa Barbara Sandsharks, Los Angeles/Sacramento Golden Bears, High Desert (Adelanto) Rattlers later moved to Las Vegas, Fresno Fire who merged with the Bakersfield Bombers, Orange County Crushers, Sacramento/Reno Express, Carson City/Modesto-Stockton Mavericks, Santa Cruz/Monterey Bay Tritons, and a proposed team in San Diego (the San Diego/San Jose/Golden Gate Goals) which like Temecula suspended operations for 1995. Temecula's reason for suspending operations was because no suitable rink was available for the club and was the reason the club moved to Phoenix, Arizona for the 1996 season. The team was going to be called the Phoenix Desert Rats, but the team reappeared in Palm Desert, California to become the Palm (Springs) Desert Rats, to replace the Roller hockey team the Palm Desert Silver-Cats who later relocated to Ontario, California, to represent the Riverside-San Bernardino area. The CIHL folded in 1999 with the remaining teams: the California Desert Rats, Inland Empire InlinE-men (Ontario), (Orange) County Web Warriors (also the name of a team in Pro Beach Hockey) and SouthLand Sun-Dogs of San Diego and Del Mar, California (Solana Beach). Temecula is also known as the home for the Freestyle Motocross group Metal Mulisha with members such as Brian Deegan, Jeremy "Twitch" Stenberg, and Ronnie Faisst living in or near Temecula. Since 2012, Temecula has also been home to the Wine Town Rollers (WTR) roller derby league. Currently, Temecula is home to a semi-pro soccer team, Temecula FC (a.k.a.) the Quails. The area used to have another semi-pro soccer team, the Murrieta Bandits, in the 2000s. Boxing and Mixed martial arts fight cards are held at Pechanga Resort & Casino. In the California State Legislature, Temecula is in the 28th Senate District, represented by Republican Jeff Stone, and in the 75th Assembly District, represented by Republican Marie Waldron. The Temecula Valley Unified School District (TVUSD) and its schools are consistently ranked as having the highest Academic Performance Indices within Riverside County. Great Oak, Chaparral, and Temecula Valley high schools have all received silver medals in the U.S. News Best High Schools rankings awarded by U.S. News & World Report. The district's general boundaries extend north to Baxter Road in French Valley, south to the Riverside/San Diego county line, east to Vail Lake, and west to the Temecula city limit. The district covers approximately 148 square miles (383 km2), with an enrollment of approximately 28,000 students (Grades K-12). Temecula is home to Mt. San Jacinto College, a community college which offers classes at the Temecula Higher Education Center on Business Park Drive and, until recently, the Temecula Education Complex on Enterprise Circle West. In March 2018, Mt. San Jacinto College decided to expand its presence in the area when it purchased two five-story buildings on property owned by Abbott Vascular, located at 41888 Motor Car Parkway and comprising approximately 350,000 square feet. It is expected to open in fall 2020. Temecula is also home to a satellite campus for California State University San Marcos (CSUSM), which offers several online and certificate programs. National University, University of Redlands, Concordia University, and San Joaquin Valley College also have education centers in Temecula, and Azusa Pacific University and University of Phoenix have locations nearby in Murrieta. Chabad of Temecula is a Jewish synagogue and community center servicing all Jews regardless of affiliation (Reform, Conservative, Orthodox, unaffiliated). St. Catherine of Alexandria Catholic Parish was established in 1910 with a chapel built in Old Town Temecula in 1917. In order to make space for its growing congregation, the parish relocated and sold its formal chapel (which has since been renamed "Chapel of Memories") to the Old Town Museum for a dollar. 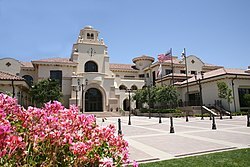 An application to build a 25,000 square-foot Islamic Center of Temecula Valley was approved by the Temecula City Council in January 2011. The center has since opened and is planning to undergo an expansion. The Calvary Chapel Bible Church is a 35,000 square-foot church and cultural center outside the city limits in property which is in the citrus region of the Temecula Valley Wine Country. The city dedicated a Japanese Garden at the Temecula Duck Pond to honor the 10th anniversary of the city's relationship with sister city Daisen. Temecula was the setting of the 2009 comedy The Goods: Live Hard, Sell Hard. The romantic comedy The Ugly Truth was partially filmed at the Temecula Balloon and Wine Festival. A reality TV Show for Netflix called Gotham Garage is filmed in and around Temecula. ^ "City Manager's office". City of Temecula. Retrieved December 29, 2014. ^ "City Council Members". City of Temecula. Retrieved October 13, 2018. ^ "Temecula". Geographic Names Information System. United States Geological Survey. Retrieved October 21, 2014. ^ "Temecula (city) QuickFacts". United States Census Bureau. Retrieved October 13, 2018. ^ a b c "E.1: City/County Population Estimates with Annual Percent Change, January 1, 2017 and 2018". California Department of Finance. Retrieved March 31, 2019. ^ a b "Things To Do, Lodging & Transportation - Temecula CA". Cityoftemecula.org. Retrieved November 3, 2018. ^ Bureau, U.S. Census. "American FactFinder - Results". Factfinder2.census.gov. Retrieved November 3, 2018. ^ "FDI - Luiseno". Fourdir.com. Retrieved August 31, 2017. ^ "Pechanga Band of Luiseño Indians". Archived from the original on July 8, 2007. Retrieved August 31, 2017. ^ "Old Town Temecula, History, Event Information, Antique Shops and Temecula Homes For Sale". Temeculainformation.com. Retrieved August 31, 2017. ^ a b "Temecula history". Cityoftemecula.org. Archived from the original on March 20, 2008. Retrieved August 31, 2017. ^ "Temecula History". Oldtemecula.com. Retrieved August 31, 2017. ^ "Village". Vailranch.org. Retrieved August 31, 2017. ^ "The Pechanga Band of Luiseño Indians". Pechanga-nsn.gov. Archived from the original on July 8, 2007. Retrieved August 31, 2017. ^ "Map of the Apis Grant". Sandiegohistory.org. Retrieved August 31, 2017. ^ "Map of the village of Temecula and vicinity, showing the several historical sites which clustered around the mission-era pond". Sandiegohistory.org. Retrieved August 31, 2017. ^ Library, Oklahoma State University. "INDIAN AFFAIRS: LAWS AND TREATIES. Vol. IV, Laws". Digital.library.okstate.edu. Retrieved August 31, 2017. ^ Kurt Van Horn, Tempting Temecula, The Making and Unmaking of a Southern California Community, The Journal of San Diego History, Winter 1974, Volume 20, Number 1. ^ "Fallbrook Area Travelers, 1850 to 1889". Home.znet.com. Archived from the original on July 14, 2007. Retrieved August 31, 2017. ^ Jackson, Helen Hunt. "Ramona". Santa Clarita Valley Historical Society. Retrieved July 4, 2004. ^ Hunneman, John (October 24, 2009). "The Promenade mall marks 10th anniversary". The San Diego Union-Tribune. Retrieved December 22, 2018. 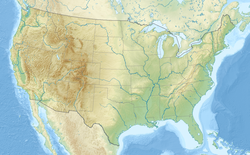 ^ "Interactive United States Koppen-Geiger Climate Classification Map". Plantmaps.com. Retrieved November 3, 2018. ^ "2004 Snowfall in the Temecula Valley". Weathercurrents.com. Retrieved September 6, 2012. ^ "2014 Snow blankets Inland valleys, foothills Wednesday morning". Weathercurrents.com. Retrieved January 7, 2015. ^ "Tornados Tear Through Fallbrook, Rainbow and Temecula". Weathercurrents.com. Retrieved August 31, 2017. ^ "2010 Census Interactive Population Search: CA - Temecula city". U.S. Census Bureau. Archived from the original on July 15, 2014. Retrieved July 12, 2014. ^ Bureau, U.S. Census. "American FactFinder - Results". Factfinder2.census.gov. Retrieved August 31, 2017. ^ "Pages : Document Libraries" (PDF). Scag.ca.gov. Retrieved November 3, 2018. ^ "Comprehensive Annual Financial Report, Fiscal Year Ended June 30, 2014". City of Temecula, California. p. 171. Retrieved May 21, 2015. ^ "Temecula Wineries". California Winery Advisor. Retrieved April 11, 2016. ^ "The Forgotten Vineyard - Temecula CA". Cityoftemecula.org. Archived from the original on May 31, 2016. Retrieved August 31, 2017. ^ "Temecula Farmers Market". Visittemeculavalley.com. Retrieved November 3, 2018. ^ "Temecula Valley Museum". Temecula Valley Museum. Retrieved November 3, 2018. ^ "About Us | Temecula CA". temeculaca.gov. Retrieved December 20, 2018. ^ "Temecula Bluegrass Festival". Temeculabluegrass.org. Archived from the original on July 18, 2007. Retrieved August 31, 2017. ^ "Home - Temecula Valley Balloon & Wine Festival". Tvbwf.com. Retrieved August 31, 2017. ^ "Temecula Valley International Film and Music Festival". Temeculavalley.bside.com. Archived from the original on April 19, 2010. Retrieved August 31, 2017. ^ Brunsting, Melody. "Temecula Street Painting Festival". Temeculacalifornia.com. Archived from the original on April 8, 2002. Retrieved August 31, 2017. ^ "Temecula Greek Festival". Temeculagreekfest.com. Retrieved August 31, 2017. ^ "CBS Sports pro boxing puts championships on the line at Pechanga Resort & Casino". Iesportsnet.com. Retrieved July 18, 2018. ^ "Bellator MMA returns to Pechanga Resort & Casino". Pe.com. Retrieved July 18, 2018. ^ Source, San Diego (May 10, 2013). "KaBOOM! names Temecula among 217 'Playful City USA' communities". Sddt.com. Retrieved August 31, 2017. ^ "City of Temecula Named a Bronze Level Bicycle Friendly Community". Temeculaoutreach.org. Archived from the original on September 1, 2017. Retrieved August 31, 2017. ^ "Home - Pennypickle's Workshop". Pennypickle's Workshop, the Temecula Children's Museum. Retrieved August 31, 2017. ^ "Temecula Unified School District - Temecula CA". Temeculaca.gov. Retrieved November 3, 2018. ^ "Mt. San Jacinto College buys two Temecula buildings for $56 million". Press Enterprise. March 21, 2018. Retrieved April 7, 2019. ^ "Temecula Education Complex – TEC". www.msjc.edu. Retrieved April 7, 2019. ^ "California State University San Marcos at Temecula | CSUSM". www.csusm.edu. Retrieved April 7, 2019. ^ "Nearby Educational Facilities | Temecula CA". temeculaca.gov. Retrieved April 7, 2019. ^ "Find A Grave: Temecula Cemetery". Findagrave.com. Retrieved August 31, 2017. ^ "California Association of Public Cemeteries". Capc.info. Retrieved August 31, 2017. ^ "History of the Temecula Public Cemetery District". Temeculapubliccemeterydistrict.org. Archived from the original on December 9, 2013. Retrieved November 3, 2018. ^ "North County News - San Diego Union Tribune". Nctimes.com. Retrieved August 31, 2017. ^ "Sheriff-Coroner : Riverside County, California". Riversidesheriff.org. Retrieved August 31, 2017. ^ "Service Area". Rvcfire.org. Retrieved August 31, 2017. ^ "Mormon Colony San Bernardino: Home". Score.rims.k12.ca.us. Retrieved August 31, 2017. ^ "Pioneer Settlements in California". Lightplanet.com. Retrieved August 31, 2017. ^ "Chabad of Temecula". Jewishtemecula.com. Retrieved August 31, 2017. ^ "Sunridge Community Church". Sunridge Community Church. Retrieved August 31, 2017. ^ "Welcome to ICTV – The Islamic Center of Temecula Valley • 31061 Nicolas Road, Temecula, CA 92591". Icotv.org. Retrieved August 31, 2017. ^ "Temecula approves mosque after contentious 8-hour hearing". Los Angeles Times. January 26, 2011. , Retrieved 2013-06-04. ^ "New Masjid Project – Welcome to ICTV". Icotv.org. Retrieved November 3, 2018. ^ "Calvary Baptist Church - Temecula, CA". Calvary Baptist Church - Temecula, CA. Retrieved August 31, 2017. ^ CLAVERIE, AARON (September 11, 2013). "TEMECULA: Candles, tulips mark somber ceremonies". The Press-Enterprise. Retrieved November 3, 2018. ^ "Rob Brantly Statistics and History". Sports Reference LLC. Retrieved March 26, 2015. ^ "Elizabeth Taylors eighth husband faces eviction - Yahoo! News". March 21, 2011. Archived from the original on March 21, 2011. Retrieved November 3, 2018. ^ Barrera, Sandra (January 6, 2018). "Meet 'Usagi Yojimbo' creator – and Temecula resident — Stan Sakai at the Japanese American National Museum". Orange County Register. Retrieved January 7, 2018. ^ "Palomar Inn Hotel". Palomarinntemecula.com. Retrieved August 31, 2017. ^ "Restaurant Express visit Temecula". Retrieved November 20, 2013. Wikimedia Commons has media related to Temecula, California. Wikivoyage has a travel guide for Temecula.